You may be aware that this year Little Tikes are celebrating their 50th anniversary. Little Tikes are a brand that I've loved ever since I had my first baby, over 9 years ago. So to be working with them again, for this review and help them celebrate their anniversary, is just amazing. We were recently sent a couple of their new products YouDrive. Freddie, my youngest, is a huge fan of cars. He started to be pretty much obsessed with cars a few months ago and has a whole collection of different ones. 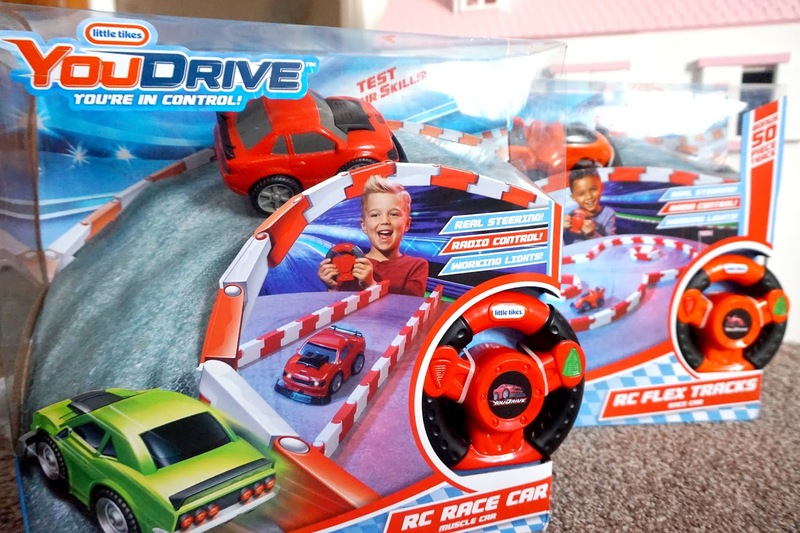 But the YouDrive products are great for racing and letting the little ones be in control of their own cars with a real working steering wheel controller. There are four different cars to collect: Red muscle car, green muscle car, hotrod with flames and an orange/grey sports car. 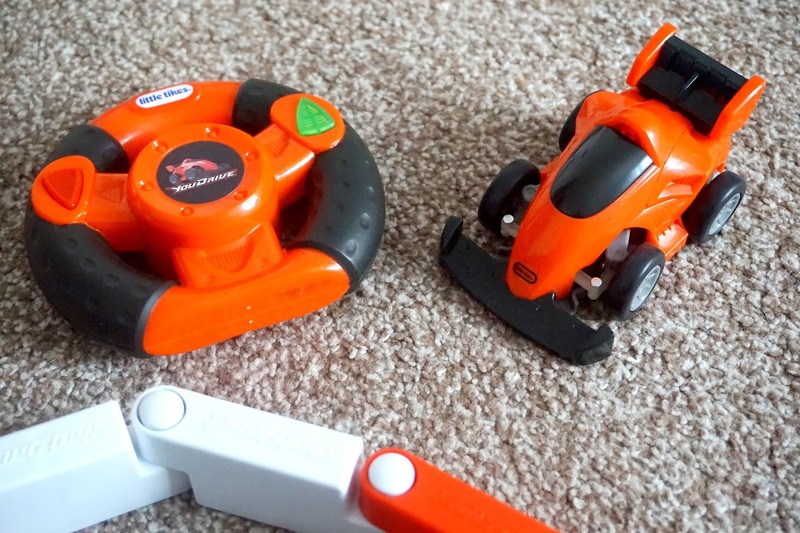 The kids have had hours of fun racing against each other with their cars by using the steering wheel controller. 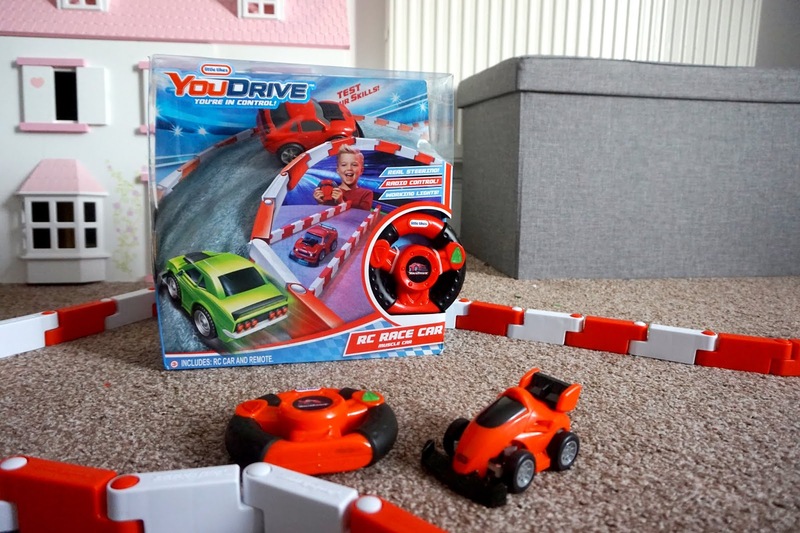 The YouDrive products are great for keeping little ones entertained for a reasonable amount of time. As well as the individual cars, there is also a YouDrive Flex Tracks Race Car which includes 50-pieces of Flex Tracks. 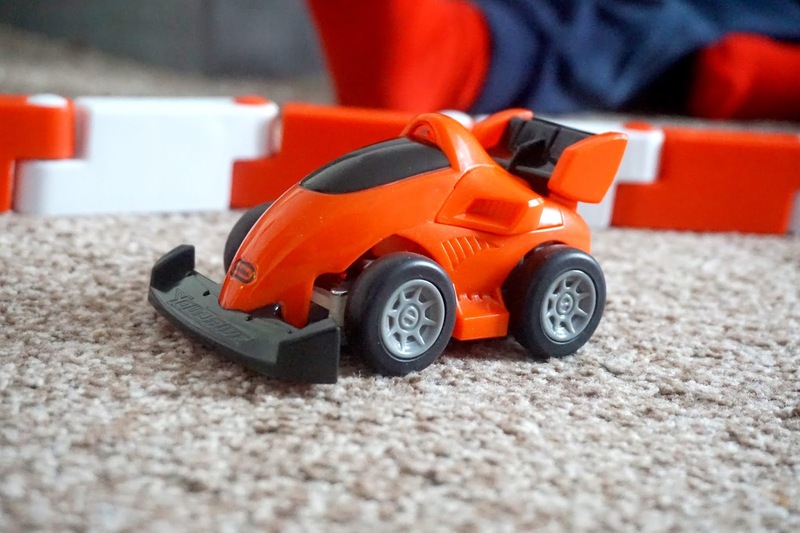 Using the bumper pieces can create different track combinations for extra fun. The wheel controller is great for the little ones. It only has 2 buttons: start and stop, which makes it easier for the little ones to understand. 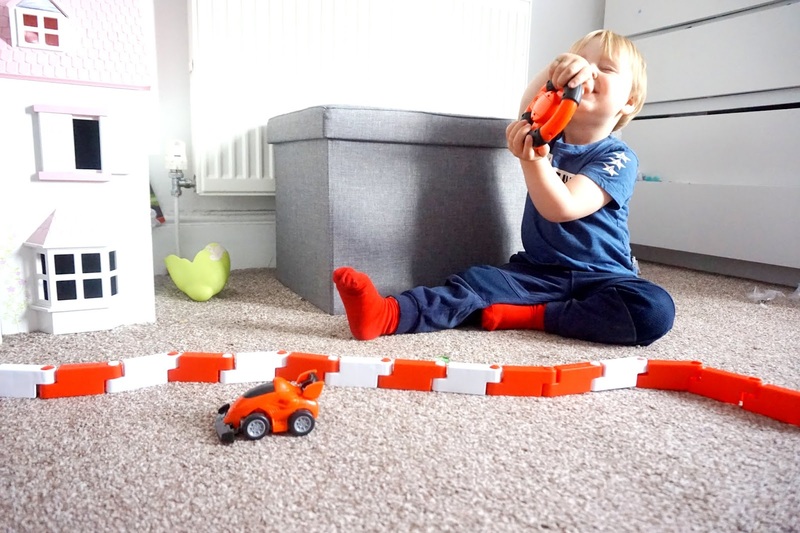 Overall, YouDrive from Little Tikes are great products for little ones who love racing cars. - We were kindly gifted these items for the purpose of this review. However, all words, images and opinions are our own.